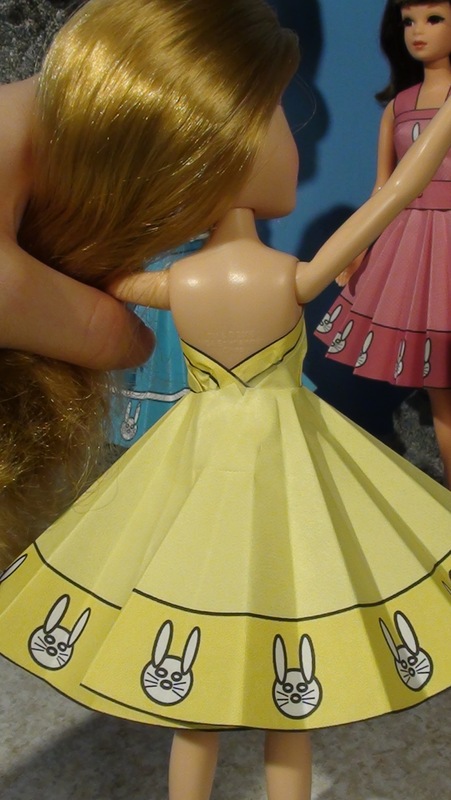 For most fashion dolls, like Barbie, you’ll use the big circle to make this skirt. 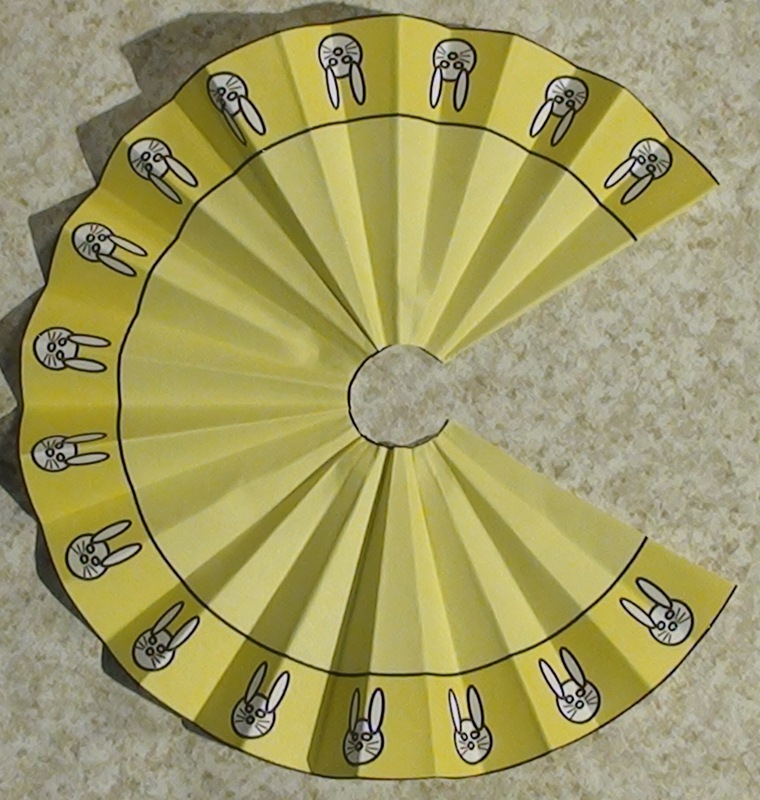 Very small dolls, like Chelsea, use the small circle. Prepare the circle then cut along one folded line from the bottom of the skirt to the center. Wrap the skirt around the doll’s waist overlapping the edges in the back. Have the skirt snuggly wrapped around the doll’s waist and tape the overlapped edges together. Add a belt if you wish or leave it as is.